The last Balvenie single malt Scotch whisky from the 1950s, was laid down to mature in a single sherry cask (cask No. 191) on January 26, 1952. 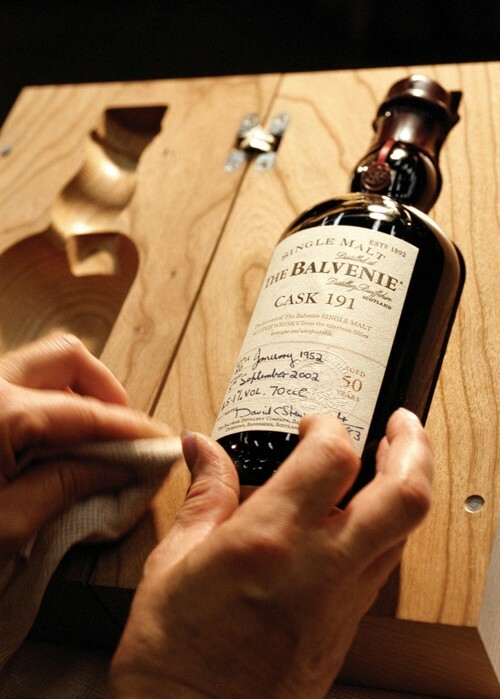 In 2002, the cask was emptied into just 83 bottles and put on sale – the smallest Balvenie release ever. Offered at US$13,000 a bottle, each is individually numbered, dipped in wax and hand-signed by Balvenie’s master distiller. 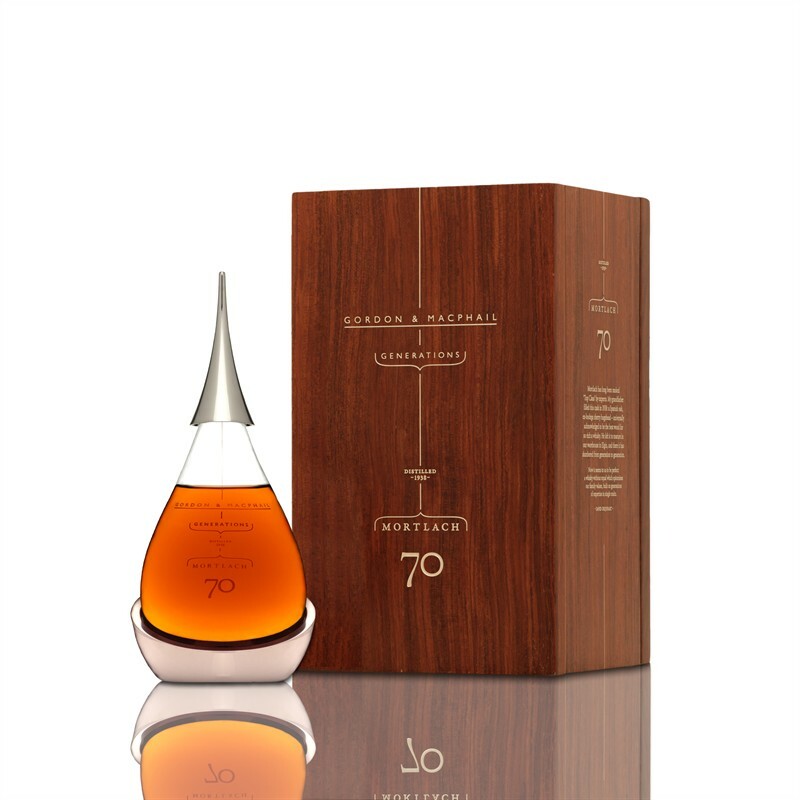 The sleek, modern teardrop-shaped crystal decanter that holds Scottish whisky merchant Gordon & MacPhail’s Mortlach 70-year-old belies its pedigree. Aged since October 15, 1938 in an ex-bodega sherry hogshead cask made from Spanish oak, it is the world’s oldest bottled single malt whisky. Presented in a handmade Brazilian Rosewood box, it is available in 54 standard-size 700ml decanters selling for approximately US$16,000 each, and 162 smaller sized 200ml decanters at approximately US$4,000 each. 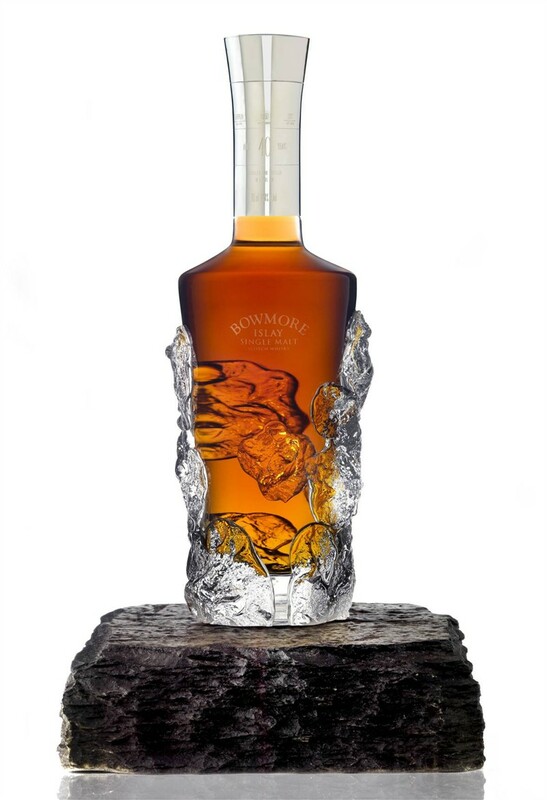 Matured in a specially selected American bourbon cask since March 29, 1969, only 53 bottles of the limited edition Bowmore 40 Years Old are available for sale. Priced at close to US$10,000 per bottle, its decanter is designed and hand-blown by two of Scotland’s foremost glass-blowers Brodie Nairn and Nichola Burns. Adding a regal touch to the outfit is Hamilton and Inches, Warrant Holder to The Queen and one of Scotland’s most prestigious jewelers, who caps the bottle with a hand-engraved solid silver collar.